Remember the three drag racing R35's from a couple years ago? The black car with an RB26 has been raced several times by Godzilla Racing, and this weekend is the debut for the two TB48(?) powered cars at the FUCH's Winternationals in Austraila. 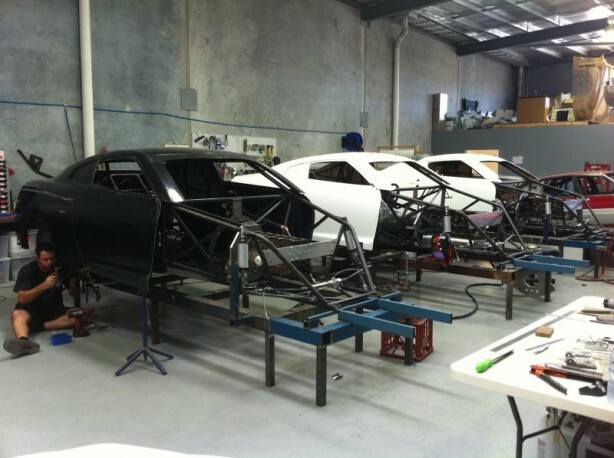 Although looking at their FB page, they look to be working on a VR38DETT. The two 2012 Nissan Skyline GTR-35s – two of only three in the world – were unveiled this morning during day one of what is the largest drag racing event held outside of the US. 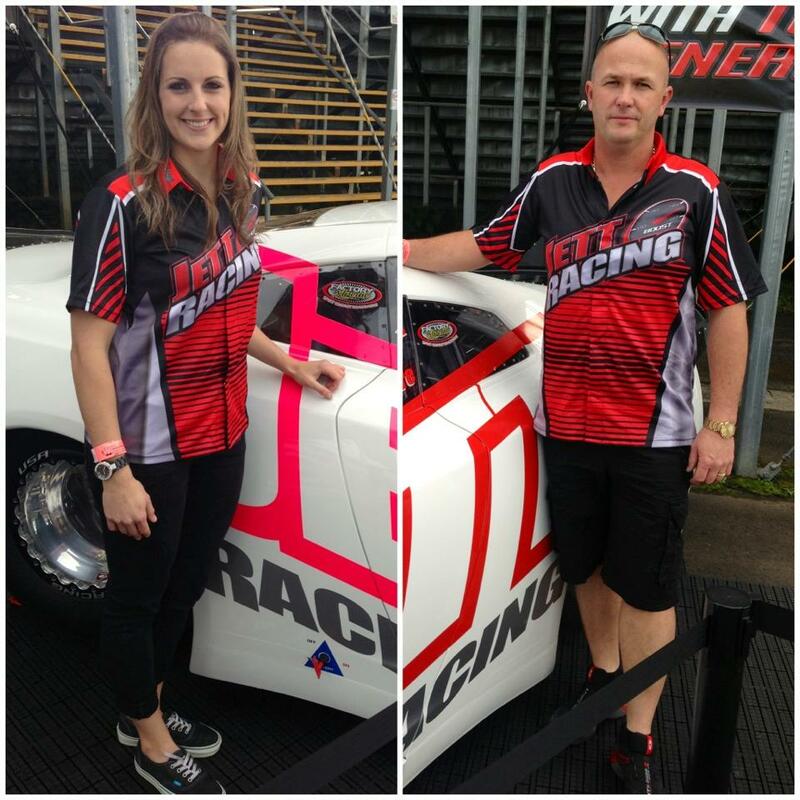 Sporting clean-cut white liveries and twin-turbo V6 motors, the state of the art racing machines will make their on-track debut in time for the 2014 season at the hands of team owner Collin Willshire and racer Kelly Corbett. At the launch this morning, Willshire – a current racer and committee member for the Factory Xtreme bracket - said the unveiling was all about encouraging a new age for drag racing. “Jett Racing is all about doing things differently, we want to be a part of taking this great sport of ours into the future,” said Cornubia’s Willshire, who has been a drag strip regular since 1996. “We are a team that has grown over time, starting small and working very hard for our business with a great passion for what we do, and I think that shows in our approach, our people, and our presentation. “Over this time we have developed a burning passion for bringing our sport and what we do to new fans, to ‘today’s generation’, by employing the latest approaches, new technology, and state of the art cars. Corbett, who started racing with Jett Racing late last year, is ‘blown away’ by the chance to take the wheel of her new drag racing machine. “It was a massive surprise to be offered the opportunity to race in a car like this, I am still totally blown away with the potential of what lies ahead,” said Camira’s Corbett, who stepped up to the Group 2 Super Compact bracket when she joined Jett Racing late in 2012, after years in the Group 3 Modified bracket. 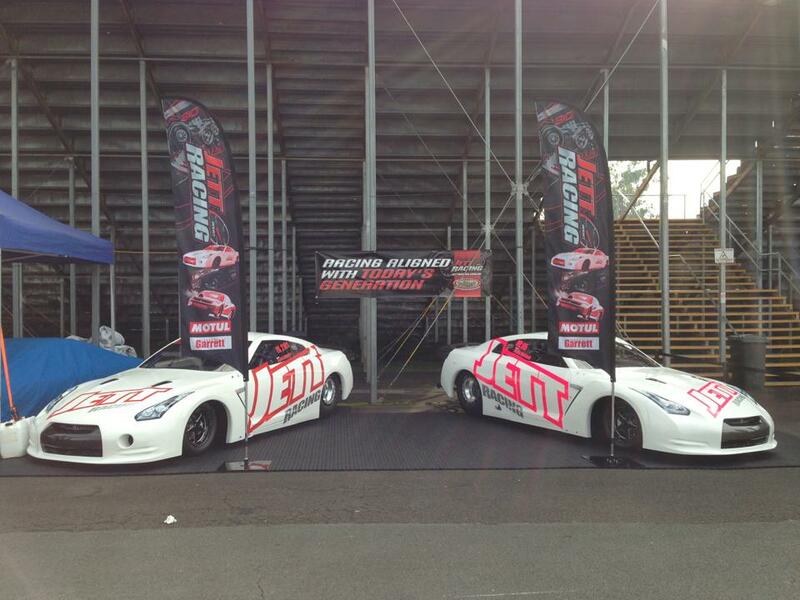 Jett Racing is supported by Prime Signs Speed Elec, Turbo by Garrett and Motul. The Cornubia-based outfit of Collin and Katie Willshire will be on-track at Willowbank Raceway this weekend for the FUCHS Winternationals, competing in the Factory Xtreme (Collin Willshire), Super Compact (Kelly Corbett) and Junior Dragster (Jett Willshire) brackets across Friday 7 to Monday 10 June 2013.